Theatre consultancy Charcoalblue has launched a comprehensive theatre design service promising to take a venue from conception through to completion, inspired by the company’s pop-up venue projects. Charcoalblue’s Turnkey Theatre Consultancy has been created to deliver projects with tight budgets or time-scales, using methods seen in temporary theatre construction to bring the design process together in one service. The company will provide a single point of contact who in turn will appoint, lead, manage and coordinate the rest of the design team and other consultants. This means it will be able to deliver projects for which a more conventional form of design or procurement has failed, the consultancy said, claiming the new service will remove “the layers of complexity that can be associated with a traditional design process”. The company has collaborated on temporary spaces with architects Haworth Tompkins on the National Theatre’s temporary space and for the Royal Shakespeare Company’s Courtyard with Ian Ritchie. It said it hoped to apply the rapid design and build technique to permanent venues. 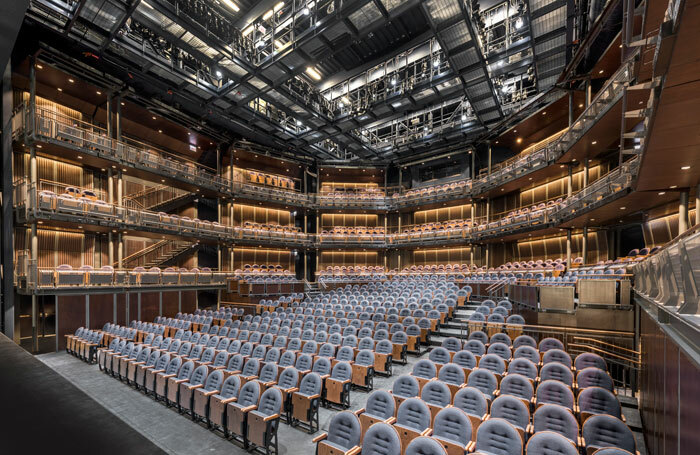 Recent examples built using this method include an 800-seat theatre in Chicago – the Yard at Chicago Shakespeare Theater. Charcoalblue said the new service would provide clients with a “streamlined, cost efficient and comprehensive design service” and could be used either to build a theatre from scratch or to remodel an existing auditorium. It will also use “low-cost, high-impact materials” to make construction more financially efficient. Charcoalblue claimed that the Yard theatre in Chicago was achieved at half the cost of more traditional design processes. The service will be led by Gary Wright, who oversaw Charcoalblue’s team for the Yard in Chicago and the forthcoming redevelopment of the Boulevard Theatre in London for Soho Estates.